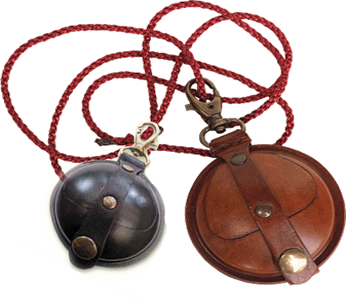 These stylish pouches are ideal for both Field Target shooters and Hunters alike, the main benefit being that with a press down lid, the pellets cannot fall out. The pouches are proving extremely popular with UK airgunners. 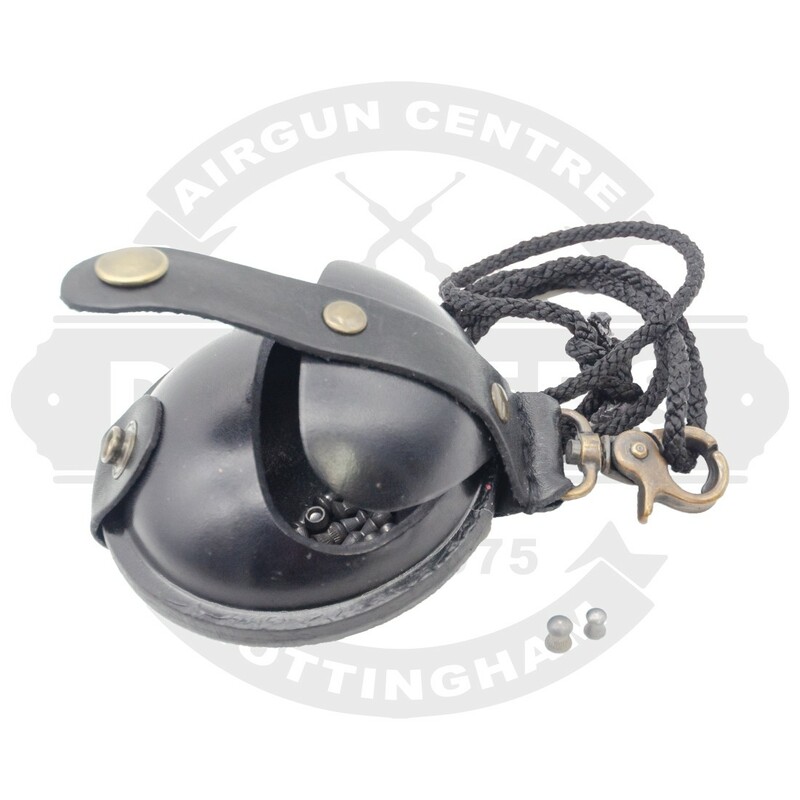 The standard 2.5 inch diameter pouch holds approximately 125 .177 airgun pellets plus a small magazine, whilst the large 3.5 inch diameter pouch will hold a whole tinful of pellets plus a large magazine. They all come with a cord for wearing around the neck, but each pouch also has a fast onoff clip for belt attachment if required. Available in Black and Brown.